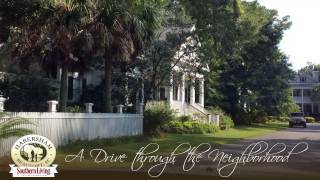 Habersham is a beautiful coastal town in South Carolina offering a variety of home selections. Our traditional neighborhood setting is based on the architectural charm that is reminiscent of the nearby historic cities of Beaufort, Charleston and Savannah. 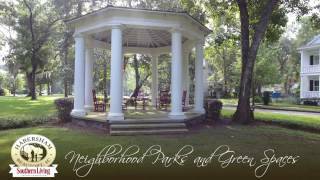 Oak-lined streets, parks, southern architecture and gracious porches encourage strolls throughout the neighborhood. 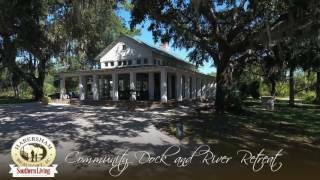 Our Marketplace shops and restaurants, tennis house, waterfront pool, river retreat and community docks all inspire a true quality of living in the South. In 2018 the town of Habersham is celebrating their 20th Anniversary and was coincidentally named one of Coastal Living Magazine's "Top 20 Places to Live". Habersham has also previously been selected Southern Living Magazine’s “Community of the Year” (2015), Ideal-Living’s “Best Neotraditional Community” (2016), “Best Neighborhood in America” by the National Home Builders Association (2009), a multi-year recipient (2005, 07, 09) of Where to Retire Magazine’s “America’s 100 Best Master-Planned Communities” and The Beaufort Gazette Readers’ Choice “Best Housing Community/Neighborhood” several years in a row.